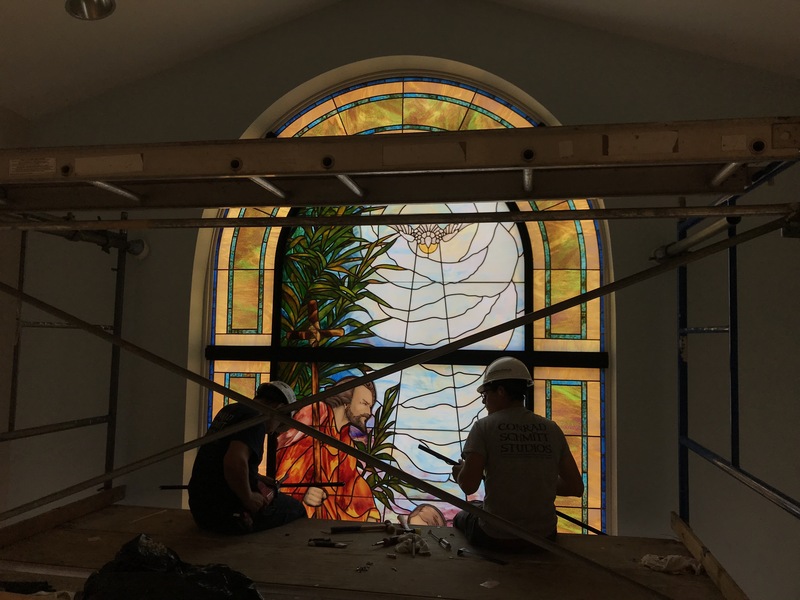 The exterior edifice of St. Nicholas Catholic Church had long been at odds with the sacred space inside. 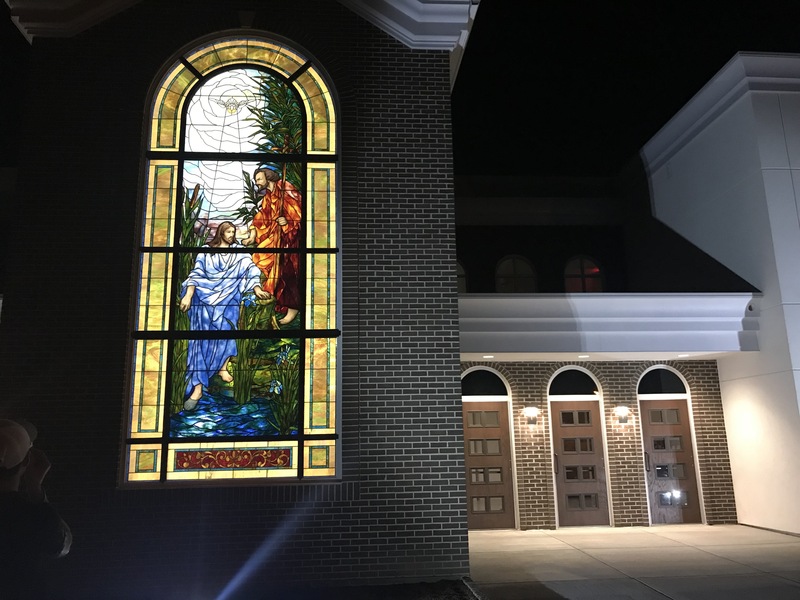 In 2018, the congregation undertook the challenge to transform the exterior, creating new function and aesthetics. Many elements combined to complete the metamorphosis. The need to add elevator access for ADA compliance offered the opportunity to create a bell-tower element on the front façade. Creating consistency in the exterior brick and window framing also served to unify the exterior. The addition of a statue of St. Nicholas served to reflect the patronage of the church while balancing the tower compositionally. 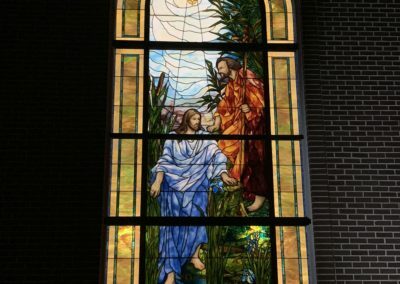 The most critical addition, however, was an eight-foot by fifteen-foot stained glass window depicting the baptism of Christ. 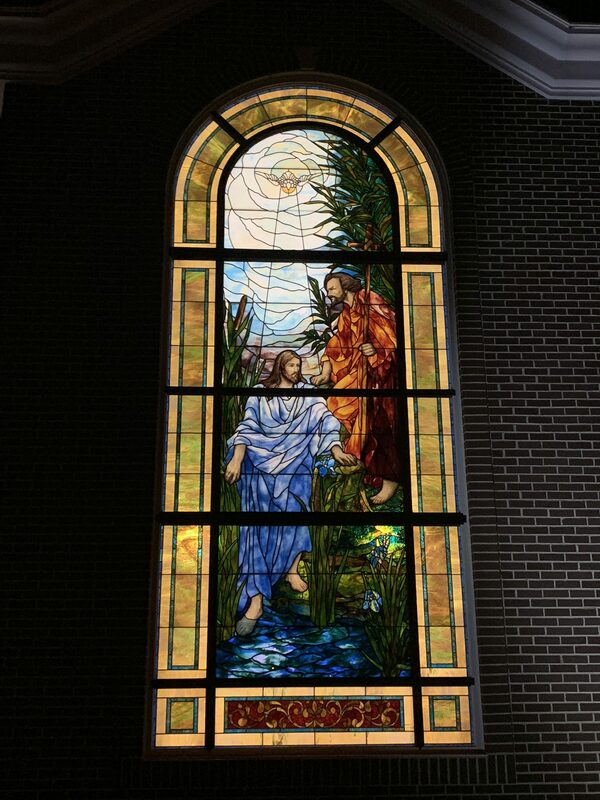 This window was unusual in that it was created with the intention that it be primarily viewed from the exterior. 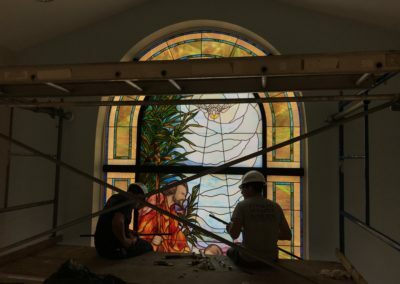 While most stained glass is created to enhance an interior space, this window was created to announce to all that arrive that this is a house of God. 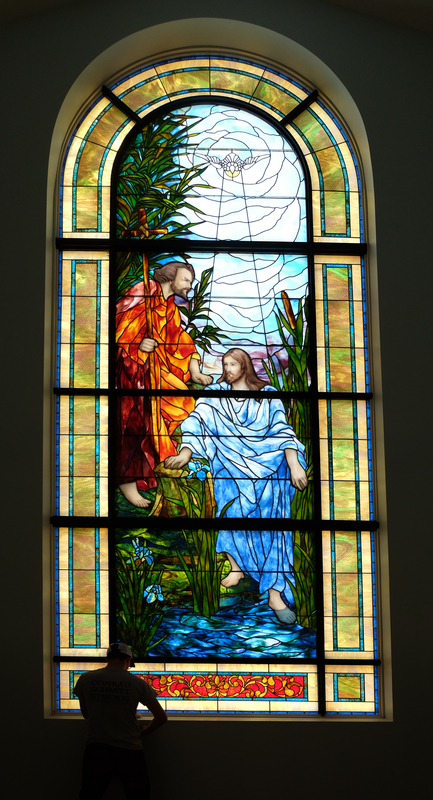 The window was created in the Tiffany-style, with opalescent glass assembled in layers. Painted elements were only added for face and hand elements. Opal glass appears like a mosaic in the reflected light of the day and glows with a sublime transcendence in transmitted light during the evening. 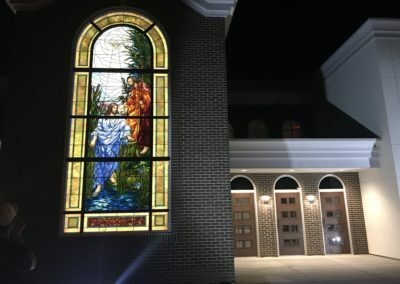 The completed window now serves as a beacon both day and night to welcome the congregation home and to draw in new members to this dedicated catholic community.